When designing your wedding day, it's important to remember that the focus is going to be on you – however, that doesn't mean that you can't add even more beauty to your occasion by choosing bridesmaid dresses that really pop. Available at Dimitra Designs in just about every color in the rainbow so that you can find the perfect one to bring together your wedding vision, our Sorella Vita Bridesmaid Dresses are must-haves for the stylish wedding – especially if you want to make the right impression. In addition to coming in just about every color and being incredibly tailored in chiffon, sequins and other fabrics, the Sorella Vita dresses from DimitraDesigns.com are also very versatile. Made to look classic and able to be worn again and again, these bridesmaid dresses really offer quality and a great look – so good, your bridesmaids will be able to wear these dresses for the next big occasion! From cocktail styles to stunning gowns, we've got you covered with the right dress to compliment a bridesmaid's unique shape or sense of style. 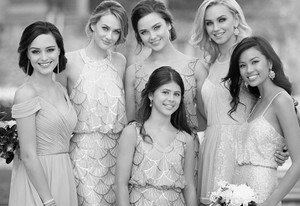 Don't just choose any dress for your bridesmaids. Instead, be sure that they can look beautiful and get their money's worth out of the dress by shopping the selection of Sorella Vita Bridesmaid Dresses at Dimitra Designs. 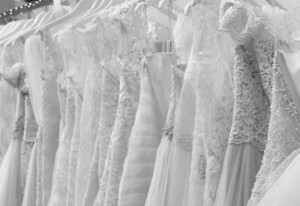 Able to be worn over and over yet stunning enough to always make the right impression, these dresses are must-haves for your bridal party. Choose a color and style to bring together your wedding vision.